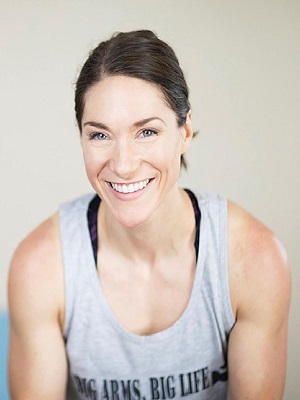 Kourtney Thomas, CSCS, has been a personal trainer and endurance running coach for six years. After a mostly inactive life, she discovered a passion for running and turned it into her profession. Kourtney spent two years training clients and athletes of all ages at a facility before starting her own business. She now coaches clients online, empowering them through strength training, smart cardio, and mindset shifts. She enjoys bicep curls fueled by cake and riding her Harley-Davidson Softail Deluxe. Her motto is “Big Arms, Big Life,” and she lives that daily alongside her husband, dog and cat, outside of St. Louis, Missouri.